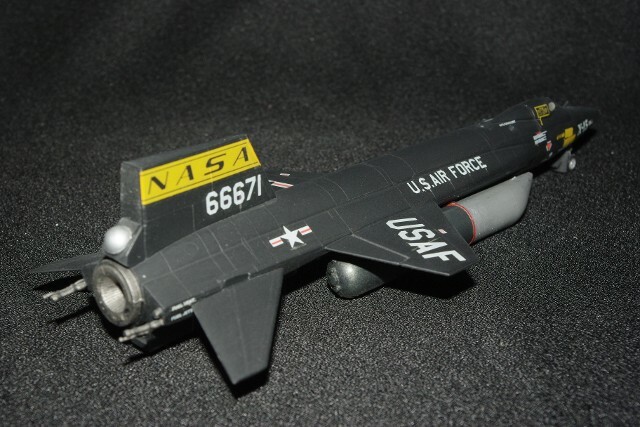 This model was built in the 1980s, when Monogram Models released an entire series of space-related kits under the "Young Astronauts" program logo. 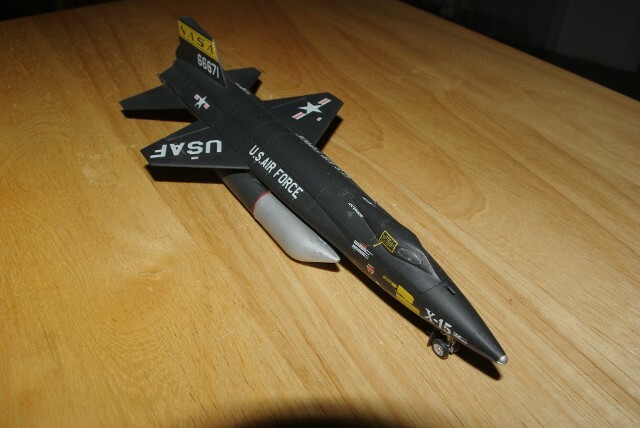 The model was scaled from the X-15 version which currently resided at the U.S. Air Force Museum at Wright-Patterson Air Force Base in Dayton, Ohio. 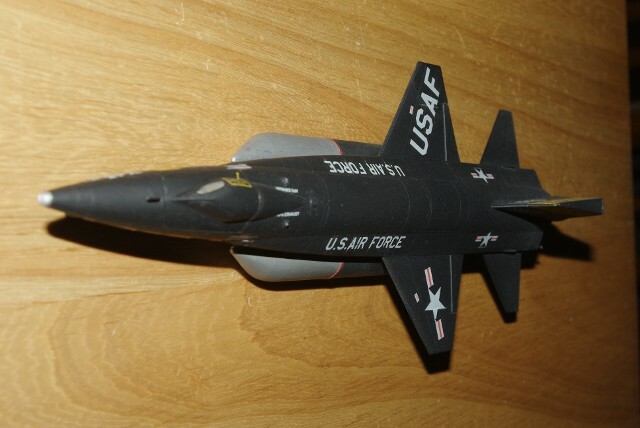 The model depicts the later phases of the original X-15 flights, which used "belly tanks" to increases the burn duration of the XLR-99 rocket engine, allowing either higher speeds or altitudes to be achieved. When it was found that these flights caused excessive heating to the Inconnel-X skin of the airplane, the exterior was coated with a white, ceramic material to insulate the metal. 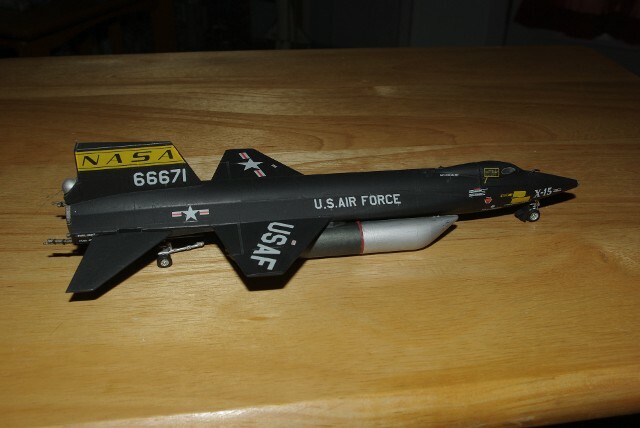 The rear of the X-15 is supported by its tow cradle. 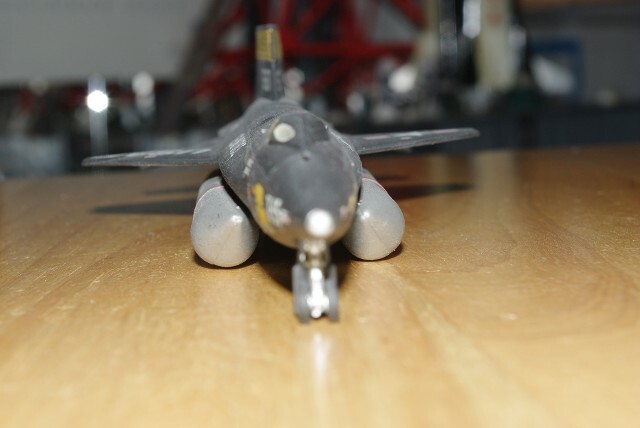 Besides the belly tanks, the proper vent tubing and drag chute canister was provided on the model. 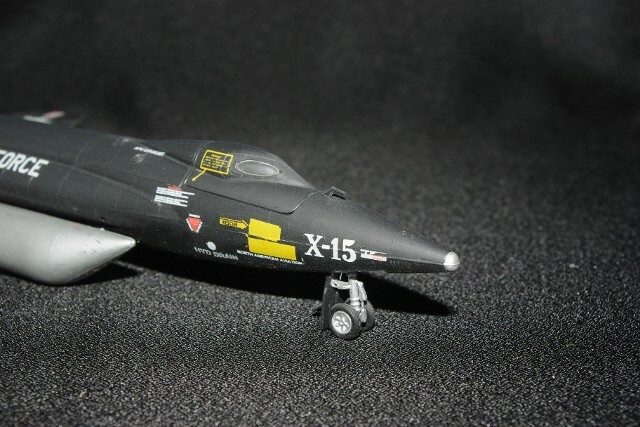 The canopy also uses the correct "oval shaped" windows, which were used on the later X-15s.